With the increased rain we've had this year, the Phoenix desert is in bloom! I love this time of year when it's warm but not too warm. It's the perfect time to go outside for a bike ride or a long walk. I always try to remember to grab my camera so I can take some photos to share. That's the life of a blogger, right? Since it's Thankful Thursday, I thought I'd share a few reasons why I'm so glad to live in Phoenix. I'm not originally from the west. In fact, I was born and raised in New York. My hometown was Lindenhurst which is on Long Island. My house was across the street from the boat docks where the clam diggers took off early each morning. The desert environment was new for me when I moved here 25 years ago. I even had nosebleeds from the dryness at first. But I learned that water is essential to living in a desert like Phoenix. I'm so thankful that God created a world of variety. I've been blessed to do much traveling in my life. I enjoy visiting new places and experiencing foods that are special to the locals. Greg has often talked about living for three months in different areas of the world. Lately, that sounds pretty good to me too. At least, we can take our laptops with us. Can you tell that I'm a daydreamer? But for now, I'm thankful for a roof over my head and fruit trees in my backyard. I've never been able to go outside and pick my breakfast. Now is not the time to give up or give in. Remember whose servant you are. Fight in his strength for your children, your marriage, your church. Do whatever it takes for however long it takes, knowing the Lord is with you. How thankful I am that I don't have to depend on my own strength. When I rest in Him ...I am strong. Lynn of Spiritually Unequal Marriage is our host for Thankful Thursday this month. You can join in and link up there or visit other thankful bloggers. I truly love your thankful heart sis. Love it and dream of being there one spring to see it with my own eyes. Great post :) I'm a daydreamer too...and Phoenix looks like a lovely, warm place to be right now! Beautiful thank you list from a beautiful heart. Oh friend, I love your post. 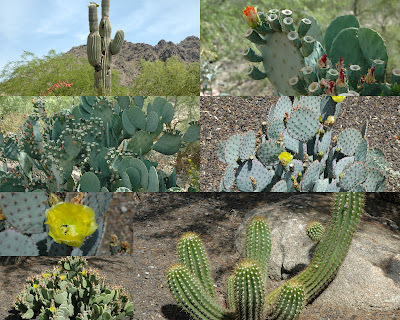 This past week the boys and I headed to the Botanical Gardens where ALL the wildflowers and cacti were blooming. We even had butterflies land on us. 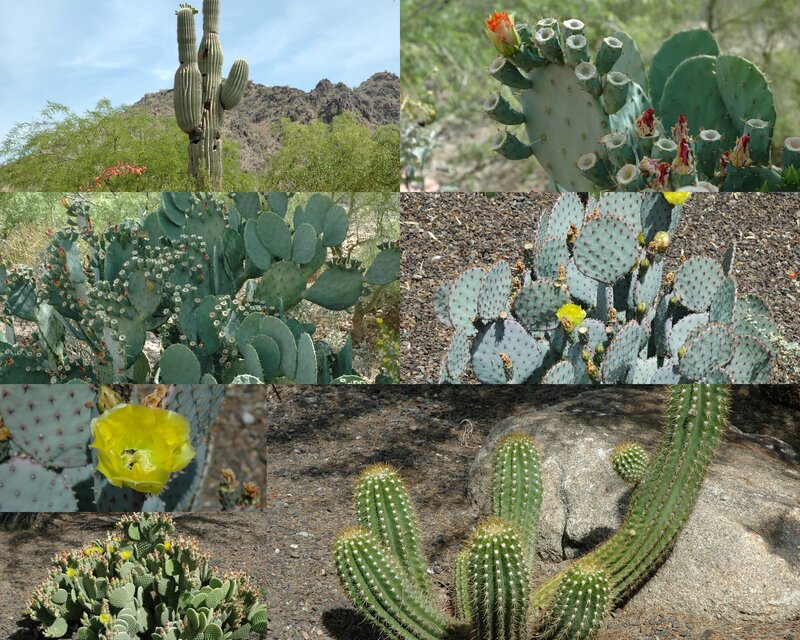 The desert is alive with so much beauty and so are we! No matter what the season (even if it looks like a desert) He brings the rain and we bloom! Such pretty pictures! I enjoyed your post. Thanks for your thankful attitude. I loved this post, Debbie...but I had to wonder...what would you picture yourself doing if you came to the deep South? I just think you are wonderful. I'm always so blessed by your blog posts and comments - I know I've told you that before.... but I just can't help myself. You and your blog are a blessing! And yes...Phoenix is awesome! I have been there twice....and I loved it! Keep enjoying the weather! Enjoy your walks and bike rides and such! Getting outside in the sunshine...watching things bloom...and maybe even sweating a little - ahhhh - feels good! Have a great Thursday, friend. Great pictures and thoughts there of thankfulness. I'm thankful to see the variety of all the types of scenery God gave us to enjoy. That's one thing I like about blogging too, is seeing the beauty in the different locations. hey! How about going here in the Philippines? :) we would love to see you here and experience our tropical climate. You are indeed so many things to thank God for. Probably because God sees your thankful heart and He enjoys giving you more. That sounds just lovely...to get to see all of the beautiful earth that He created. beautiful photos. is that a lemon tree? i should remember that name --- Adonai. God bless your grateful heart, debbie. No matter if you are a daydreamer or a night dreamer like me! Our world is so beautiful and wonderful in any place of the global! Hugs. Sounds like a very powerful book. Thanks for sharing with us. Very nice post...your place is beautiful. Phoenix looks wonderful. I am a Louisiana girl and have never been very far from home. I would love to see those blooms though! I joke with my four kids that each of them needs to move to a different part of the country and someday hubby and I can visit each of them for three months at a time! lol! I appreciated this post for the name of God as well. That was a great posting Debbie! I love the idea of 3 months in a different place... I'm ready!! Meanwhile, here I am in Texas, and there you are in Phoenix, both rather a desert place, yet with so much of their own beauty. I loved the pictures too! Yes, blogging has given me a new desire to carry my camera with me and snap the moment! Beaitiful! You did a great job with the collage! Now that you figured out how to do it...you are going to have so much fun. Also, loved your post and I wish I could go out and pick breakfast! Your mosaic is beautiful, Debbie - the desert is so beautiful after the rains. My parents lived in Chandler for many years and I know they loved it there. My mom now is adjusting to Wisconsin, quite a change for her. Thank you for your words of thankfulness to our Lord, and for bringing Adonay glory; i, too, am so glad that He is our strength. Now is Not the time to give up! I needed that, thank you! It's amazing the way cacti flower, and are so beautiful! wow - it is so different. I'm craving the sun right now ;). "Now is not the time to give up or give in. Remember whose servant you are. Fight in his strength for your children, your marriage, your church. Do whatever it takes for however long it takes, knowing the Lord is with you." It is so hard. But I know my God is alive, especially because He speaks to loudly to me through various channels, including you. Thank you.